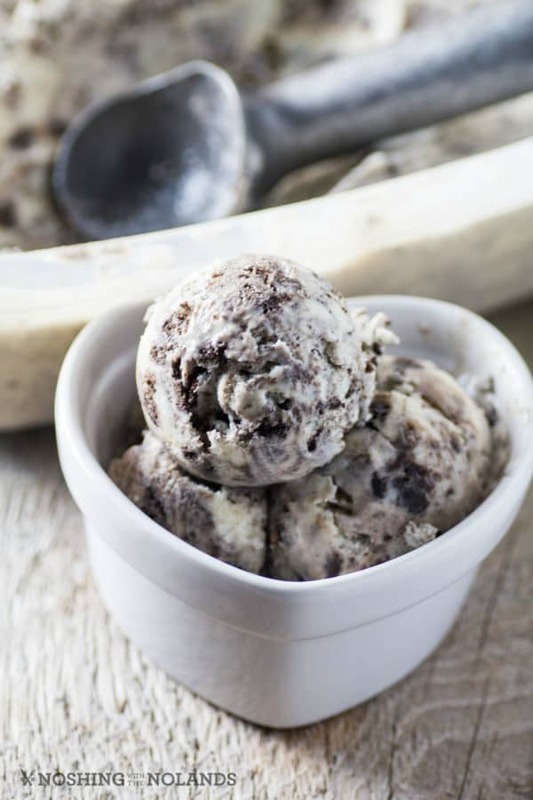 We are over at Real Housemoms today with Cookies and Cream Ice Cream. Do you love making homemade ice cream as much as I do? You can make any flavor your heart desires!! 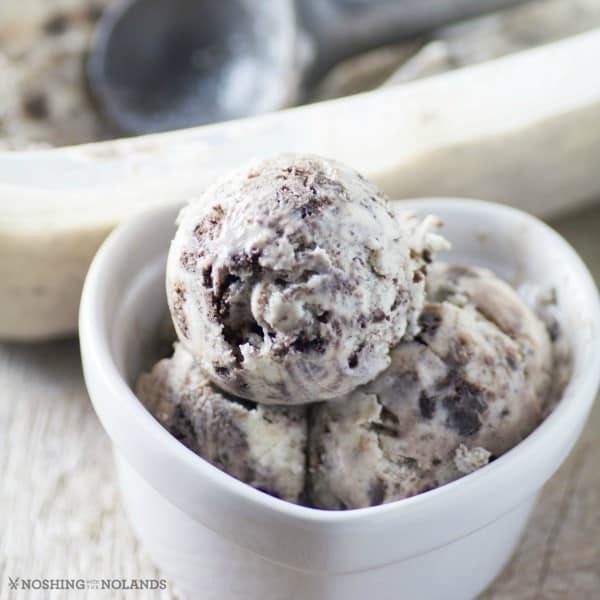 When hubby brought home some Girl Guide Cookies I knew straight away I was going to create this Cookies and Cream Ice Cream. Rich and delicious, crunchy and creamy. This ice cream can be made with any of your favorite cookies. The girl guide cookies worked great as they are like an Oreo cookie but with chocolate also on the inside as well as a chocolate cookie on the outside. They are more like a milk chocolate than the dark of an Oreo cookie if you are not familiar with them. I believe the Girl Scouts in the US don’t have the same kind of cookie. You can also use a chocolate wafer cookie or any of your favorite cookies, store bought or homemade. Doesn’t that look good?!! You have all the wonderful cookie flavor throughout the ice cream, simply delish!! Your family will love you for the extra effort of homemade ice cream and you will love it as you know exactly what goes into it. Come on over to Real Housemoms for the entire post, more photos and the RECIPE!! My daughter’s favorite is our homemade Mint Chocolate Chip Ice Cream. It is always gone in no time and I love making it with fresh mint from the garden, it has such a great flavor so much better than the artificial mint you get in store bought ice cream. 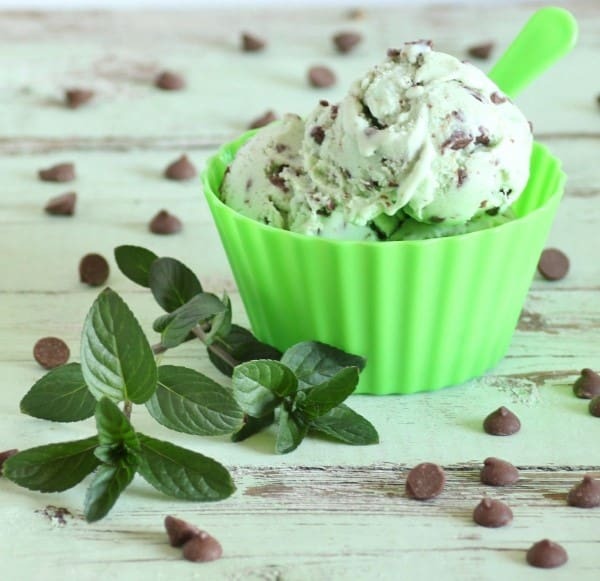 Come on over here for the recipe for the Mint Chocolate Chip Ice Cream too! You will be so glad you did! YAY! I love homemade ice cream and cookies and cream is a fave that I haven’t tackled yet! Homemade is the best! The is a crowd pleaser for so many gathering!